Hal Lindsey's The Late Great Planet Earth is a landmark work, having sold millions of copies since its original publication over forty years ago. Lindsey articulates a clear and concise roadmap for where the world is heading, using Old and New Testament Bible prophecies as the strength of his argument. 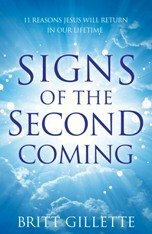 The central belief put forth by Lindsey is that Jesus Christ is soon returning to earth, probably in this generation, and the Bible clearly states that certain events will foreshadow the Second Coming. First among these is the rebirth of Israel as a nation-state, an event predicted long ago by the Old Testament prophets. "Now learn a lesson from the fig tree. When its buds become tender and its leaves begin to sprout, you know without being told that summer is near. Just so, when you see the events I've described beginning to happen, you can know his return is very near, right at the door." Matthew 24:32-33 (NLT). Throughout the Bible, the nation of Israel is often referred to symbolically as a fig tree. Lindsey's argument is straightforward. The prophets of the Bible predicted the rebirth of Israel in a single day. It happened (14 May 1948). The same prophets predicted Israel would again possess Jerusalem. That also happened (June 1967). So it makes sense to explore the other assertions made by those same prophets, such as the establishment of a Third Jewish Temple and the ascendance of a powerful individual who will shortly thereafter "rule over every tribe and people and language and nation" on the earth (Revelation 13:7). Lindsey explores the personality of this man, traditionally identified as the Antichrist, and also delves into prophecies of predicted political alliances and major end-times events. Lindsey explains major end times prophetic events (such as the rebirth of Israel, the war of Gog, the revival of ancient Rome, and the ascendance of the Antichrist) in a contemporary language that anyone can understand. In fact, it's a testament to the divine nature of bible prophecy that many of the events he covers have been partially fulfilled in the thirty plus years since (such as further unification of Europe into a powerful superstate). However, I have a problem with Chapter 12 "World War III". Lindsey offers a confusing account of Armageddon that includes the Russian invasion of Israel (a pre-rapture event) and attributes many of the actions of the kings of the North and the South to the Antichrist and his contemporaries instead of historical figures such as Alexander the Great, his subsequent heirs, and Antiochus Epiphanes. Most of these references are drawn from misinterpretations of Daniel 11 and Ezekiel 38-39, and a better commentaries on these books can be found elsewhere. 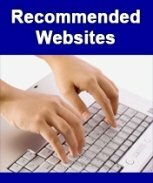 I recommend EnduringWord.Com for learning the historical aspects of Daniel 11, while an explanation of the timing and events of Ezekiel 38-39 are located on this site. Overall, this is a good book - although some of the more speculative parts are quite dated. My version is from 1993, and I don't know if the book has been revised or not. Nevertheless, the speculative parts and statistics from the early 1970's are few and far between. 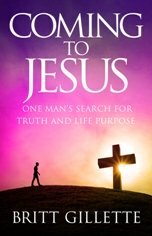 Most of the book focuses on scriptural prophecy, only commenting to inject clear references to the Biblical meaning of words and phrases. As such, The Late Great Planet Earth is a good starting point for those who wish to learn more about what the Bible has to say about humanity's future. 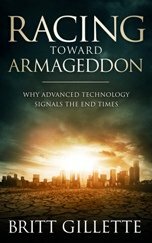 I recommend it to both beginning and expert students of bible prophecy.